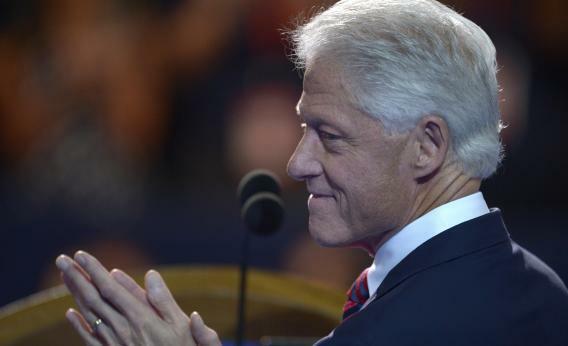 College loan reform: The most delightful, but little-noticed, idea in Bill Clinton’s speech. Bill Clinton addresses the Democratic National Convention on Wednesday. These days, it is fashionable to challenge the very notion of national political conventions. After all, they are devoid of suspense, meaningful debate, or even much good entertainment. But even so, they give us the opportunity to listen to the rhetoric of our national politicians, to see our major parties participate in a long-range debate with the other side, and to examine politicians in one of their most important public habitats, the convention hall. And every now and again, conventions produce a gem of a speech. Watching Bill Clinton last night was like seeing Rembrandt painting a portrait—a master at work. But adding more superlatives to the many already offered is of little use. Instead I want to draw attention to a morsel buried in the speech. President Clinton promoted an idea that is already part of the Obama administration’s education finance reform: the ability to pay off college loans as fixed percentage of one’s income, rather than a fixed-dollar amount. These are the values and policies we should want the government to promote. The idea won’t get much attention—but it should.